The agreement will make ESPN+ the single point of purchase for consumers of the biggest UFC events. 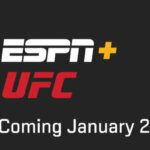 Throughout the year ESPN+ will be the definitive destination for fans to get the most comprehensive coverage of UFC. 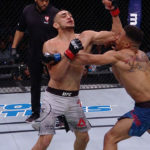 Starting with UFC 236: Holloway vs. Poirier 2 on April 13, ESPN+ becomes the exclusive distributor in the United States of all UFC PPV events. This deal will include 12 blockbuster live events per year from the world’s premier mixed martial arts organization, for each of the next seven years. The agreement adds a new business model to ESPN+ and builds upon the historic multi-platform rights agreement announced in 2018, which is now extended through 2025. Preliminary bouts for all UFC PPV events will continue to air nationally on ESPN and ESPN Deportes under the agreement announced in 2018. 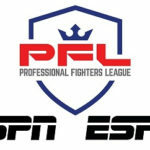 Early preliminary bouts will be available to all ESPN+ subscribers, as well as on UFC FIGHT PASS and to those who have purchased the PPV. UFC 236: Holloway vs. Poirier 2 goes on sale via ESPN+ at espnplus.com/ppv on April 8. Fans must purchase the event on the web, and then can stream it via the web or on the ESPN App on any connected device. UFC’s digital brands — UFC.TV, UFC.com and UFC App — will continue to serve as a consumer entry point for PPV events. Once there, fans will be directed to ESPN+ on ESPN.com, where they will be able to purchase and watch UFC PPV events. For everything else ESPN and ESPN+ check out our ESPN tag and our Disney Streaming Services page.